Ready to thaw and serve at room temperature with bread and white wine or heat through in the oven and enjoy as a main course entree served with a side of winter squash, fall greens and big glass of red on a cold night. From simple to sensational Smoked Sablefish is here for a limited time every holiday season at the request of one of Otolith’s original partners. Otolith custom orders this cold smoked seafood delicacy smoked using fall seasonal harvest wild sablefish and white cedar and alder woods. 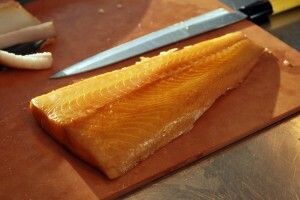 Comments Off on Smoked Sablefish Simply Superb! For superior results and best handling practices always thaw seafood under refrigeration. A slow cool thaw will gently increase the temperature of your superior Otolith seafood protecting its quality and flavor. When you want to enjoy Otolith’s fish raw then Otolith’s recommends Otolith’s Quick Thaw method. Place punctured pouch in clean warm water. Do not allow the warm water to get into the protective pouch. Replace warm water after 10 minutes . Most fillets take 20 minutes to thaw. Filets larger than 3/4 inch thick may take longer. Otolith’s fish is sushi-grade and may be eaten raw up to 6 hours only after it has been thawed using Otolith’s Quick Thaw© directions and provided it is kept dry and stored between 34-40 degrees using refrigeration to control the temperature of your sushi-grade fish. Raw fish and sushi may be served for up to 2 hours on pre-chilled plates using frozen gel packs beneath the plates to control the plate temperature while serving. Using gel packs to control the temperature of raw fish reduces the the amount of time raw fish will remain safe for consumption. Do not eat raw fish that has been improperly handled or stored. 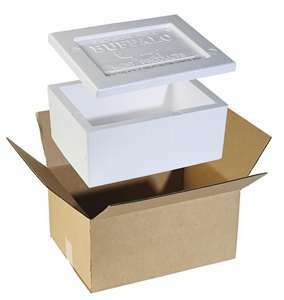 Refrigerated Thaw: place open pouch in clean bowl and allow to set in refrigerator for 5-8 hours to thaw depending on the thickness of the seafood. Thicker fillets or whole fish may take longer. To enjoy the superior quality and fresh taste of Otolith premium seafood, please consume within 3 days of thawing seafood. 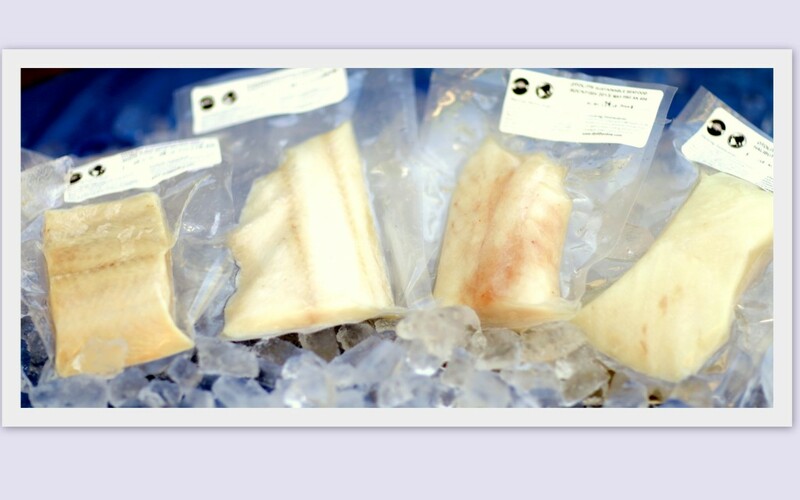 Nonetheless, Otolith’s sustainable seafood once thawed will remain safe to cook and eat for up to 7 days. While fillets and shellfish may be rinsed with cold water and pat dry with a clean towel before cooking, never soak seafood directly in water. Always thaw in pouch or open air and remember to cut the pouch and release the vacuum seal prior to thawing. Cooking Directions – Cutting portions before cooking can prevent over cooking thinner pieces provided you remove thinner portions of cooked seafood from the heat source once cooked. Cook fillets at 400 degrees for 10 minutes per inch of thickness. Most pieces take 6-8 minutes. Cut into portions before cooking; cutting seafood into portions before cooking does not reduce the quality of your premium Otolith fish or shellfish provided you make clean cuts using a sharp knife. For more specific cooking tips and directions, please use the products drop down menu to visit the specific page for each species of fish or shellfish. *Recommended by Otolith not the USDA. Otolith LLP, Community Supported Seafood LLC, their affiliates and/or heirs are not responsible for the improper use of Otolith’s Quick Thaw© technique. Otolith’s Rapid Thaw© technique was designed to allow for the highest quality and safest consumption of sushi grade raw fish and cooked seafood. 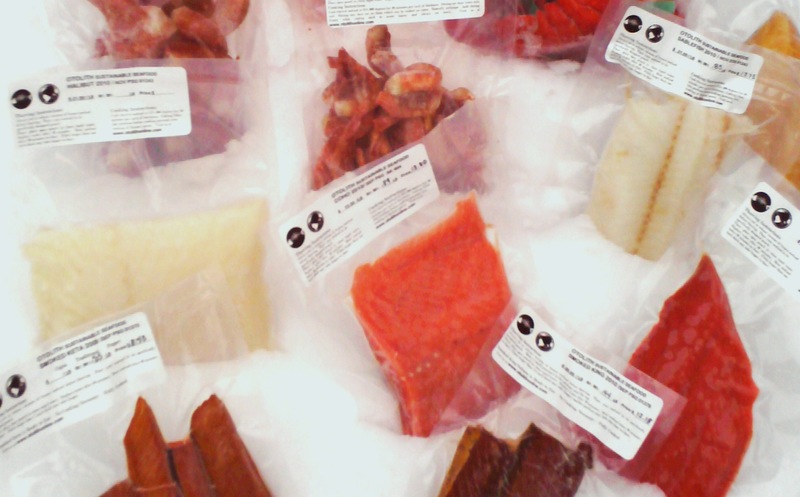 Proper use of Otolith’s Quick Thaw© only allows for the safe consumption of raw fish for no more than 6 hours provided the fish once thawed is continually stored under refrigeration temperatures between 34-38°. Improper handling of Quick Thaw© fish or shellfish will reduce the amount of time that fish can safely be eaten raw. Example: Sushi rolls served on a chilled plate without gel packs should be eaten within 40 minutes or discarded. All raw fish should be held at a controlled temperature [34-40°] to sufficiently inhibit the growth of dangerous bacteria and other micro-organisms. Join Community Supported Seafood NOW! Through Community Supported Seafood [CSS] individuals can enjoy pre-sale prices for 10 lbs or more plus FREE delivery. To purchase your 10 LBS share of Community Supported Seafood 2018 wild fall harvest fish email css@otolithonline.com or visit www.communitysupportedseafood.com. Otolith proudly distributes for Community Supported Seafood because we value wild low impact fisheries and their harvesters! Otolith supports Community Supported Seafood’s mission to a community of individuals appreciating wild superior seafood together. Comments Off on Join Community Supported Seafood NOW!